Nestled in the heart of Nisantasi, this hotel is surrounded by the exclusive district's shops, dining, art, and entertainment. Mere steps away are such destinations as Macka Park, the convention center, the city center, and the Bosporus. The hotel's sumptuous accommodations boast a unique identity of discreet luxury, timeless elegance, and compelling grace. 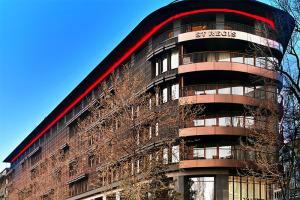 Located in the heart of Nisantasi, just a few minutes from Macka Park. Bosphorus Strait, Dolmabahce Palace, Taksim Square.